Cooking at the Community Cooking Club! 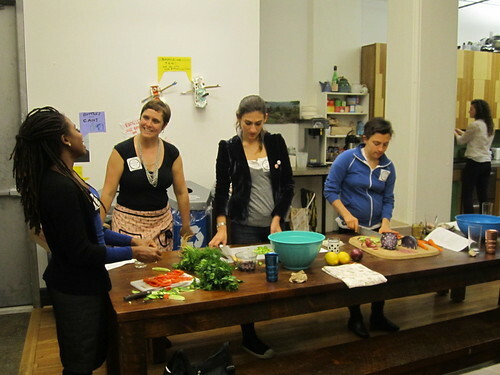 I recently led a workshop on making food that was easy to bring for lunch at work or school at the Community Cooking Club‘s 5th incarnation at Etsy labs. I wrote all about it and shared the recipes on 2 Cooks in the Kitchen, posted photos on flickr, and even a video on YouTube! Check it out and happy cooking! This entry was posted in Brooklyn, Food and tagged Community Cooking Club. Bookmark the permalink.